SAN DIEGO, December 18, 2018 – Ascent Student Loans, a division of San Diego-based finance technology company Goal Structured Solutions, Inc. (“GS2”), is pleased to announce that it has named marketing and technology expert Kim McNealy as its Chief Marketing Officer (CMO). With deep expertise leading marketing programs for a range of emerging and industry-leading organizations, McNealy will spearhead initiatives that position Ascent Student Loans for continued growth in the student lending market. Prior to joining Ascent, McNealy founded and led CMO Mojo, a company working to educate technology start-ups on lean marketing practices. 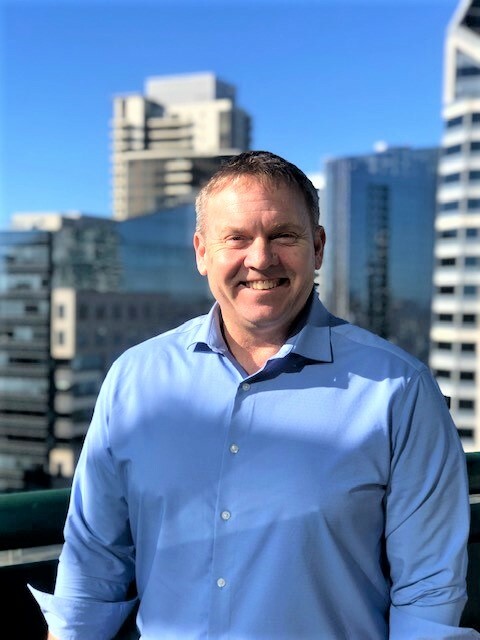 McNealy’s marketing leadership includes roles at Global Analytics where, during his tenure as Vice President of Marketing and User Experience (UX), he tripled the company’s United Kingdom (UK) market share while creating marketing and UX capabilities in the U.S., UK and Indian markets. In his role as Marketing Director at Intuit he led strategy for TurboTax® and created the New Initiatives Team within Intuit’s Consumer Group. “Kim‘s combination of consumer and financial technology experience and proven track record working with high-growth companies will be instrumental as we continue to offer what we believe is a vastly different – and much needed – new approach to student lending for higher education,” said Ken Ruggiero, Chairman and Chief Executive Officer of Ascent Student Loans and GS2. 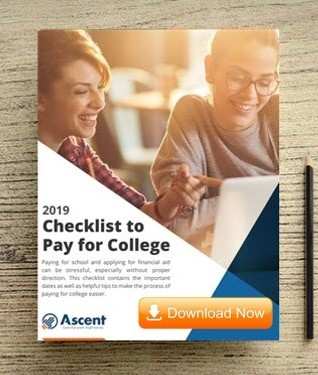 Ascent Student Loans is a private loan provider offering students more opportunities to pay for college through the co-signed Ascent Tuition loan and Ascent Independent loan, a non-cosigned loan for Juniors, Seniors and Graduate Students. McNealy will bring his proven track-record of leadership and results to Ascent and allow the company to continue its mission to provide opportunities for students to fund their education through innovative, customer focused financing solutions. Previously a marketing and brand manager at General Mills in addition to his other related experience, McNealy has led marketing efforts for brands including, Yoplait, Betty Crocker, Pillsbury & Nature Valley. A former U.S. Navy nuclear submarine officer, he earned his Bachelor’s Degree from the U.S. Naval Academy and his MBA from Northwestern University’s Kellogg School of Management. “Kim’s broad skill set brings a combination of brand management, leadership and values that will contribute seamlessly to our commitment to innovation and culture, and ultimately our mission to help students realize their academic goals,” said Randy Schmidt, Senior Vice President of Business Development and Marketing for GS2. Goal Structured Solutions, Inc. (GS2) has been a market leader and innovator in the management of consumer loans since 2001, currently managing over $26B in assets. Through Ascent Funding, LLC, the company engineered Ascent Student Loans to build a new model for how students and their families pay for college. Ascent provides access to higher education funding for an expanded population of students, while preserving the notion that an education is an investment where students and families should understand the return on their investment relative to the cost. Ascent encourages transparency and financial wellness by incorporating financial literacy into the application process. To provide students with more opportunities to fund their education, Ascent utilizes broader credit tiers and considers several other factors. Ascent offers competitive rates, flexible repayment plans, 1% cash back reward upon graduation, and access to free tools to set students and families up for financial success. Loan products include Ascent Tuition (co-signed) and Ascent Independent (non co-signed for eligible Juniors, Seniors and Graduate Students). Previous Financial planning starting to freak you out? Here’s what you really need to know about sending your kid to college.